Bob is a late returnee to academia after a 45-year break for a career in first, the military, and then, industry. 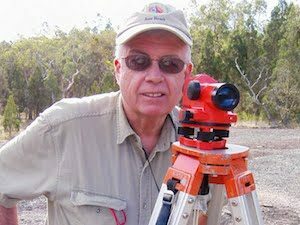 He was tertiary educated as an anthropologist/archaeologist, and much later, after retiring, did a research MPhil at Macquarie University, Sydney, on Indigenous astronomy, publishing on the cultural astronomy of the Kamilaroi and Euahlayi peoples of New South Wales. He is now at the School of Humanities and Languages, University of NSW, and is in the fourth year of a PhD researching the cultural astronomy of the saltwater Aboriginal peoples of the Australian East Coast. He has been active in outreach to the non-Indigenous community through lectures and non-academic articles, and was the instigator of the successful documentary on Euahlayi astronomy, “Star Stories of the Dreaming”. Robert S. Fuller and Duane W. Hamacher (2017). Did Aboriginal Australians record a simultaneous eclipse and aurora in their oral traditions? Journal of Astronomical History and Heritage, 20(3), 349-359. Robert S. Fuller, Michael G. Anderson, Ray, P. Norris and Michelle Trudgett (2014). The Emu Sky Knowledge of the Kamilaroi and Euahlayi Peoples. Journal of Astronomical History and Heritage, 17(2), 171-179. Robert S. Fuller, Michelle Trudgett, Ray, P. Norris and Michael G. Anderson (2014). Star Maps and Travelling to Ceremonies: The Euahlayi People and Their Use of the Night Sky. Journal of Astronomical History and Heritage, 17(2), 149-160. Robert S. Fuller, Ray, P. Norris and Michelle Trudgett (2014). The Astronomy of the Kamilaroi and Euahlayi Peoples and Their Neighbours. Australian Aboriginal Studies, 2014(2), 3-27. Robert S. Fuller, Duane W. Hamacher and Ray P. Norris (2013). Astronomical orientations of bora ceremonial sites in southeast Australia. Australian Archaeology, 77, 30-37. Duane W. Hamacher, Robert S. Fuller and Ray P.Norris (2012). Orientations of Linear Stone Arrangements in New South Wales. Australian Archaeology, 75, 46-54.